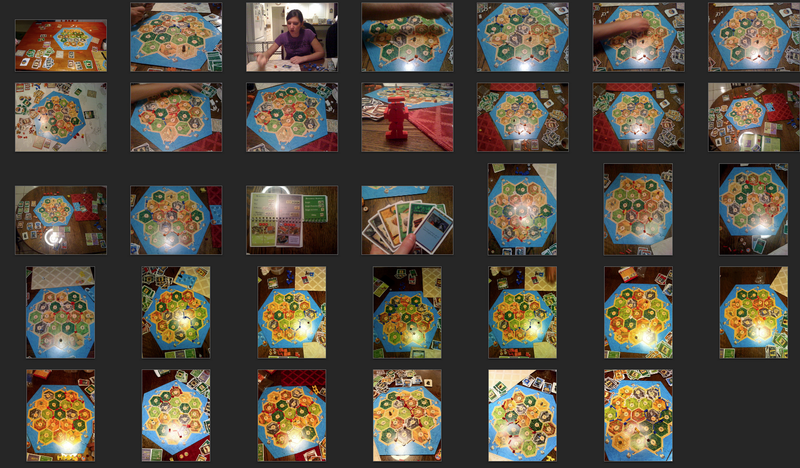 A few years ago I learned about the Settlers of Catan board game from one of my weekly podcasts; The Totally Rad Show. Since then I have purchased the game, received add-on packs and expansions, and played at least a hundred games (or so it seems). Often my dad and I will play a few times per week. Now, the game has been shown on here before, but I've collected many of the pictures that I take of our finished boards (whether I win or lose) and thought the compilation looks fun. The game is designed for 3 or more players, but Eman, my dad and I have adapted the rules to work suitably for 2 players, which is the most common way that we play now. In fact, we play with 2 so much that when we do have 3 people the game feels odd to me and a lot harder (there's less space to move around). A game with 4 players (when Eman and Teenie are both home) feels similarly disjointed. The significant aspect that changes is trading. Two players don't really trade...ever.